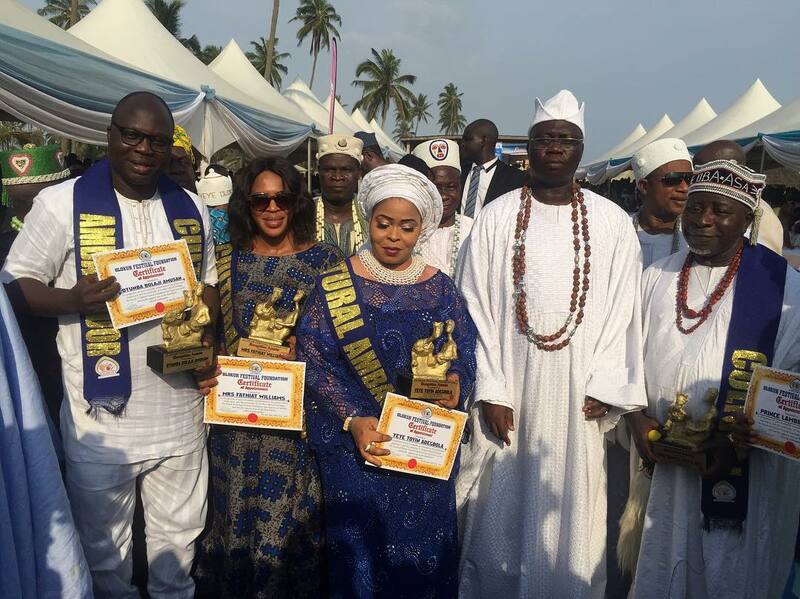 Nollywood actors, Mr Latin, Toyin Tomato, Faitha Balogun now Faitha Williams are been made the ambassador of Olokun Festival Foundation. The actors were been decorated by the new Aare ona kakanfo of Yorubaland aare Gani Adams..
Olokun Festival is the name of annual cultural festivals in Nigeria celebrated throughout Yorubaland by various Yoruba people groups, and also by the Edo. In the Yoruba Language, Okun means Sea, while Osa means Lagoon (enclosed sea). Olokun is the goddess/god of the sea, while Olosa also known as Osara is the Goddess of the lagoon and estuaries.